HIGH The moment-to-moment exhilaration of fighting a gigantic monster can feel amazing. WTF The localization’s fourth-wall-bending goofiness is frequently obnoxious, complete with a literal “git gud”. After more than fifty hours in Monster Hunter Generations Ultimate, I am still a tourist. Of course, fifty hours is nothing when one considers that Capcom has spent almost fifteen years building an Action-RPG franchise where players routinely burn hundreds upon hundreds of hours chasing giant monsters. Though the success of Monster Hunter World’s release earlier this year can be viewed as the payoff for that persistent brand maintenance, the Nintendo Switch release of Monster Hunter Generations Ultimate can serve as the crystallization – and, perhaps, a final farewell — to the series’ original pre-World formula. 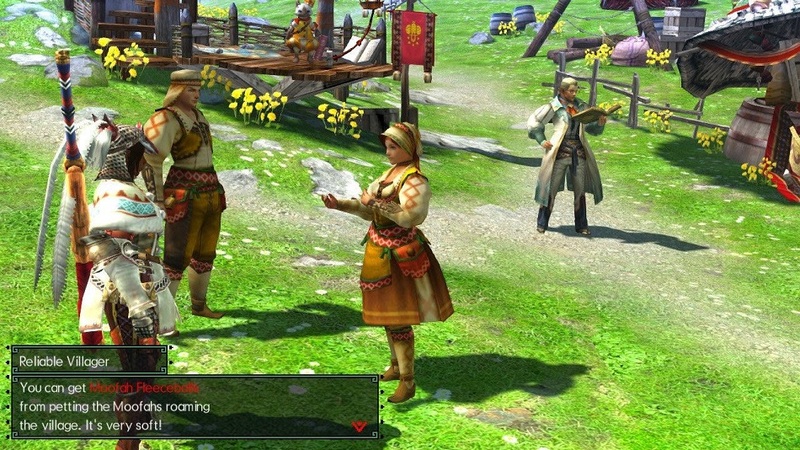 In the beginning, players customize the look and feel of their avatars before selecting a weapon to convey an elaborate action-based fighting style, complete with combos and sometimes a form of meter management for powerful attacks. These weapons can be paired with a Hunting Style and a selection of Hunter Arts – both new additions to the series with MHGU – to create a moveset that can be surprisingly complex and expressive. 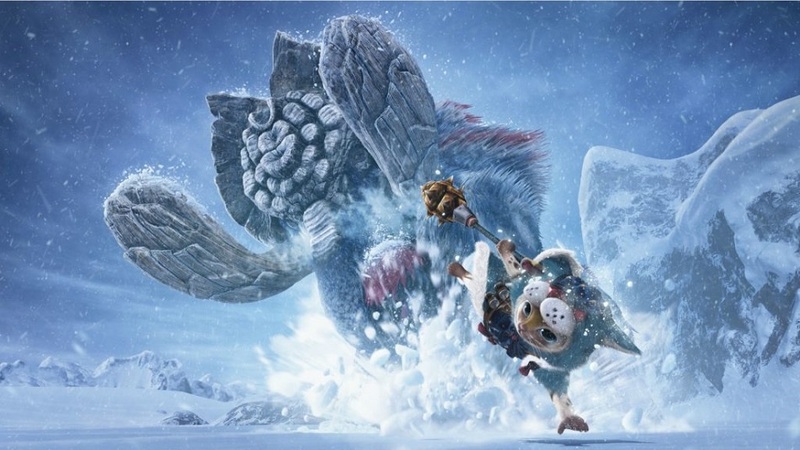 To carry out the quests in Monster Hunter, players take their weapons and a limited inventory into lush environments that are conveniently stocked with item gathering points to forage from and monsters to hunt. The hunt itself is the central pillar of the experience, and it’s where the subtleties of the combat shine through. 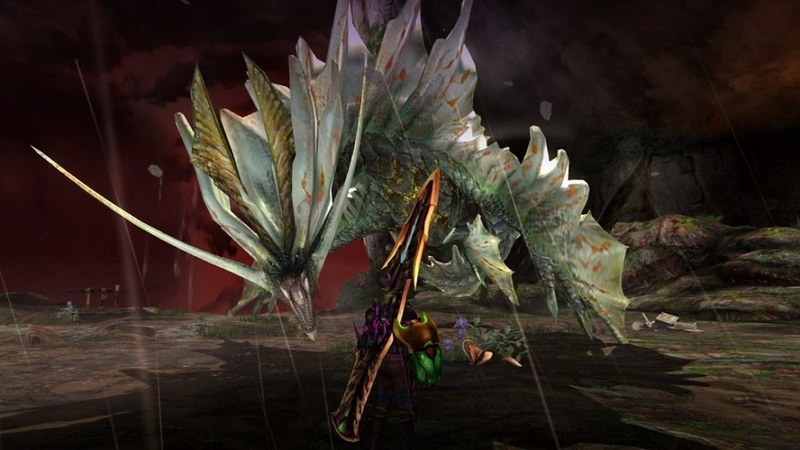 Rather than focusing exclusively on damage, combat often centers on the Sharpness level of the player’s weapon — each area of the monster requires a certain sharpness for an attack to land and, since the player’s weapon degrades with every attack, the most basic strategy of a hunt involves finding the most vulnerable areas of a monster and the right times to retreat and repair a weapon. Furthermore, monsters have no visible health bars, so players are forced to pay close attention to the changes in their prey’s behavior to assess a fight. Though the monster’s transitions between scripted actions are often robotic, their animations in the moment can be quite elaborate and, sometimes, disturbing. When a monster is near death, they begin to visibly struggle to move, drooling or wheezing as they limp away. Getting a monster to this ‘wounded’ state is a signature moment that some players will see as a cathartic turning point, but it took me out of the fight and, gradually, the idea of the hunt overall. Rather than seeing a great beast brought low with the dignity of a battle well-fought, I saw these transitions as gratuitous, especially when the monster would cycle right back into a flawless attack animation moments later. After a couple of hunts, it didn’t even register as distasteful anymore — it was so unnatural and illogical that eventually it didn’t register at all. As I got further away from combat, I found an increasingly hollow experience in MHGU that made it difficult to connect with. The final moments of a hunt are a small, but illustrative example of this disillusionment — once a monster is defeated, a countdown timer starts almost immediately, as though the game is nudging the player out of a theme park ride so that the next group can come in. In these closing moments, players frantically carve out special items like tusks, bones and hides from their quarry before being hurriedly whisked away to town. Some of these battles can last almost an hour – why not give players more than a minute to savor their hard-won victory? These spoils from these quests power a treadmill economy with a progression curve so carefully smoothed that it feels almost frictionless. The only real tension comes down to the amount of time a player is willing to invest – failed quests never go away and quest environments always reset. If I need some valuable honey, all I have to do is pick a gathering quest and mindlessly repeat it. Even after I harvest all the honey on one trip, the beehives will be back and brimming full the next time. Beyond the hunts, it feels like there are dozens of utterly peripheral systems for players to toy around with in town, from customizing hunter’s guild cards to assigning elaborate training programs for the fan-favorite Felynes. There’s always stuff to do, but very little of it is memorable or even necessary. Even the Prowler mode that allows players to take on quests as Felynes devolves into a simplification of the core mechanics, as Prowlers no longer need to manage weapon sharpness or stamina for their attacks. The lack of a real story also makes it tough to justify deeper investment with Generations Ultimate, especially when the rest of the game outside of combat is so monotonous. 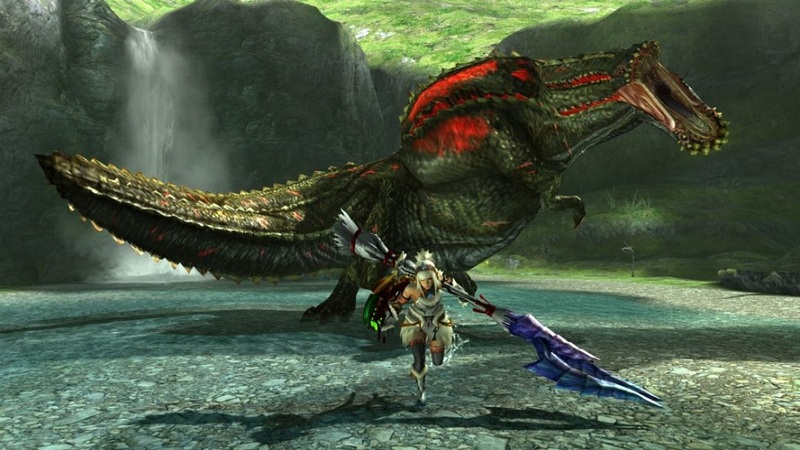 There have been MH games like 2009’s Monster Hunter Tri that took the time and effort to provide an ongoing narrative as connective tissue between hunts, but MHGU has no interest in exploring the world beyond the player’s attack range. Instead, it nonchalantly trades on its past as NPCs and villages from prior entries send players into classic maps to fight classic beasts. It’s a massive, all-encompassing reprise of the series, and it expects players to already know the words to its song and leaves newcomers like myself on the outside, looking in. Parents: According to the ESRB, this game is rated T and contains blood, crude humor, mild suggestive themes, and violence. The ESRB’s description for this rating is as follows: This is an action-adventure game in which players engage in hunting missions in a world filled with monsters. Players complete missions/quests and use swords, lances, bombs, and firearms to kill various creatures (e.g., dragons, dinosaurs, sand sharks) in frenetic combat. Battles are accompanied by impact sounds, cries of pains, and realistic explosions. Brief blood spurts appear as characters and monsters are injured. Players can equip female characters with revealing outfits that depict large amounts of cleavage. During the course of the game, players can throw “dung bombs” at enemies, resulting in depictions of greenish-brown clouds. Colorblind Modes: There are no colorblind modes and, frequently, critical text is displayed in deep red text on dark translucent backgrounds. Remappable Controls: No, this game’s controls are not fully remappable, though there are a limited set of toggle-able behaviors for different control types (camera controls, swapping functions between face buttons and analog sticks, etc.) 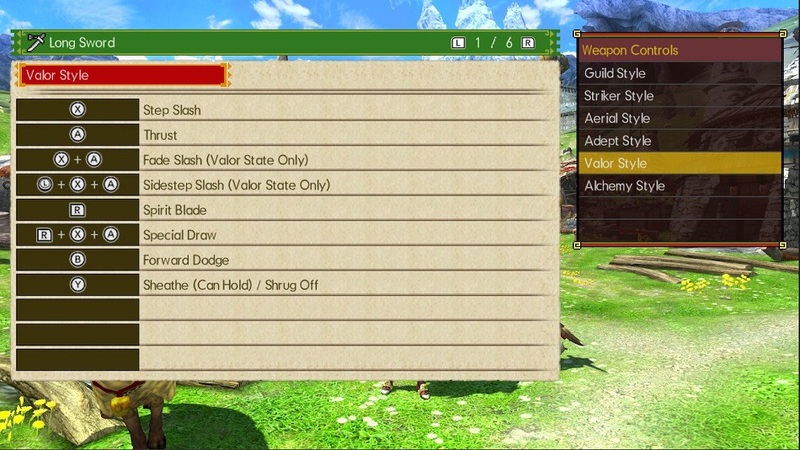 There is no single controller map diagram in the game, though there are detailed controls by weapon type found in under “Weapon Controls” in the Hunter’s Notes section of the Menu. The below is just one of many examples. Capcom’s online manual for MHGU also has some instructions for basic controls.